"Home Sweet Home" Part 1, DVD with Reminiscence Guide. Free Delivery. "Home Sweet Home" Pt 2 DVD with Reminiscence Guide. Free Recorded Delivery. "Our Working Lives" Pt 1 DVD with Reminiscence Guide. Free Recorded Delivery. 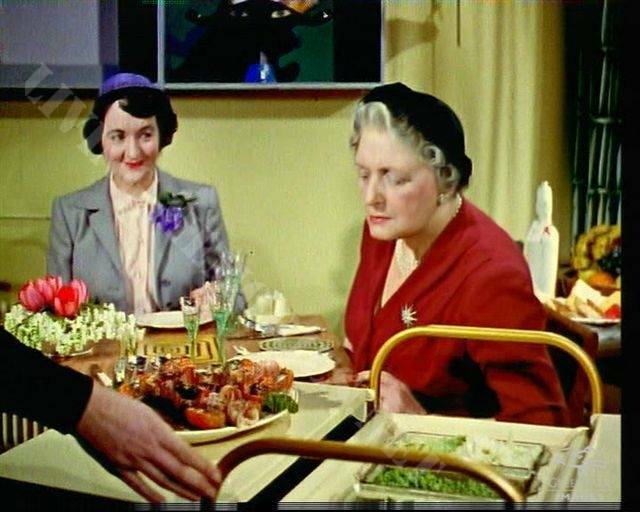 This DVD is menu based and contains archive film sequences (clips) on various domestic topics about life in the 1950s - 60s which are intended to for selecting on the menu and viewing separately to stimulate memories and conversation. However, the sequences can all be viewed one after another (approx. 30 minutes) by pressing "Play All" on the screen menu. 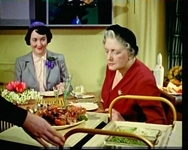 It can be used one-to-one or with groups of older people who grew up in the 1940s - 1960s and suggests how scenes in each film clip can be explored to stimulate reminiscence and conversation. If planning a reminiscence session please bear in mind that it can be beneficial to view the DVD clips carefully in advance, since there may be opportunities to press the "Pause" button on a particular scene which is rich in memory trigger objects or topics. From our experience it is quite possible to generate many hours of conversation and reminiscence from the film clips on each Living Memories DVD. The film clips will also give carers a glimpse of home and daily life in those days. These Living Memories resources can also be used to aid discussion between younger and older members of the community and compare growing up after World War II with life in the early 21st century.